1st day: Arrive in HK airport at 7am. Go to Disneyland hotel to check in. Can we go to Lantau Island (to see Big Buddha probably or pls suggest other places we can go to) and just get back to Disneyland park around 3pm? 2nd day: Disneyland whole day, then go to Novotel Hotel (Nathan Rd.) 7pm. We are planning to just get a cab from Disneyland to Nathan Rd. Around how much is the fare (so that we know if the cab driver is not charging us too much)? 3rd day: We want to go to Madame Tussauds, Victoria Peak & Avenue of Stars, Stanley Market. Is it possible to visit all these places in 1 day? 4th day: Snoopy's World 10am, then go back to airport at 4pm (our flight is at 7pm). Day 3: Stanley Market -> Victoria Peak (pop into Madame Tussauds which is located at the peak) -> Avenue of Stars -> Symphony of Lights at 8pm. 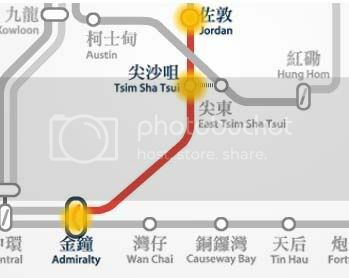 Stanley Market: Take MTR trains at Jordan station, Entrance / Exit B2, look for the Tsuen Wan Line trains heading towards Central.Only 8 minutes train travel, HK$8.1. Once at Central, take bus 6, 6A, 6X or 260 from Exchange Square bus terminus.The bus fare is HK$7.9 for the adult and HK$4.0 for the child. The journey time is 55 minutes approximately. They are air-conditioned and comfortable as buses go. You may opt for a taxi from Central. It will take about 20 minutes and will cost around HK$120. Victoria Peak: Click Me on how to get the peak. Avenue of stars/symphony of lights: From Central, take the star ferry at the Central Star Ferry Pier to cross the Victoria harbour. The fare is HK$3. The trip is about 6-10 mins. The avenue of stars is adjacent to the pier. 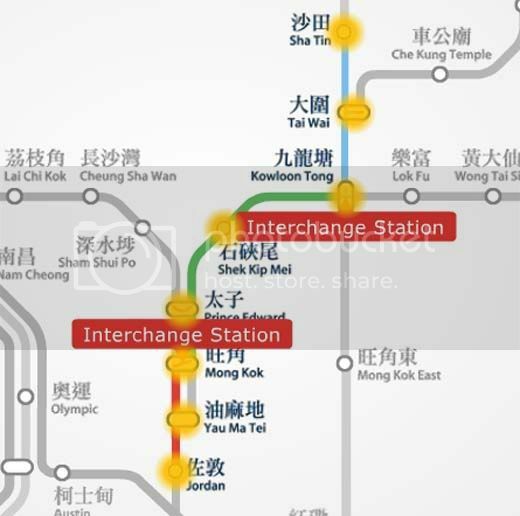 *Take MTR trains from Jordan Station to Sha Tin Station. The journey is 25 minutes at HK$7.8. Snoopy's World is located at L3 podium, New Town Plaza, Sha Tin. Here is my suggested itinerary to maximize your stay. Day 1: Check in at Disneyland Hotel. Spend the whole day at Disneyland Park. Don't miss the "Disney in the stars" fireworks at 8pm. * Taking a taxi from Disneyland Hotel straight to Novotel Hotel will take about 26 minutes drive at HK$165. Also, consider a charge of HK$5 to HK$10 per piece of luggage placed in the taxi luggage compartment. Day 2: Check In at Novotel Hotel. Go visit the Ocean Park until late afternoon then the Ladies' Night Market in the evening. Once at the Admiralty MTR station, take Exit B. Upon exit, get on the special CityBus No.629 for about 25 minutes, HK$10.6, an express bus travel between Admiralty and Ocean Park. Your hotel in nathan road is quite near to the avenue of the star. Do you want to go the peak in the evening or during the day? Either way, after you visit the peak n madame tussaud (it is in the peak complex), you can go to the star ferry to cross to tsim sha tsui and you can enjoy the victoria harbour while crossing with the ferry (at night it is better with all the lights). Avenue of the stars is near by in tsim sham shui, but you must go at night to enjoy the symphony of lights. Stanley market is so out of the way and there is not much to see there. Check the HK tourist board website.